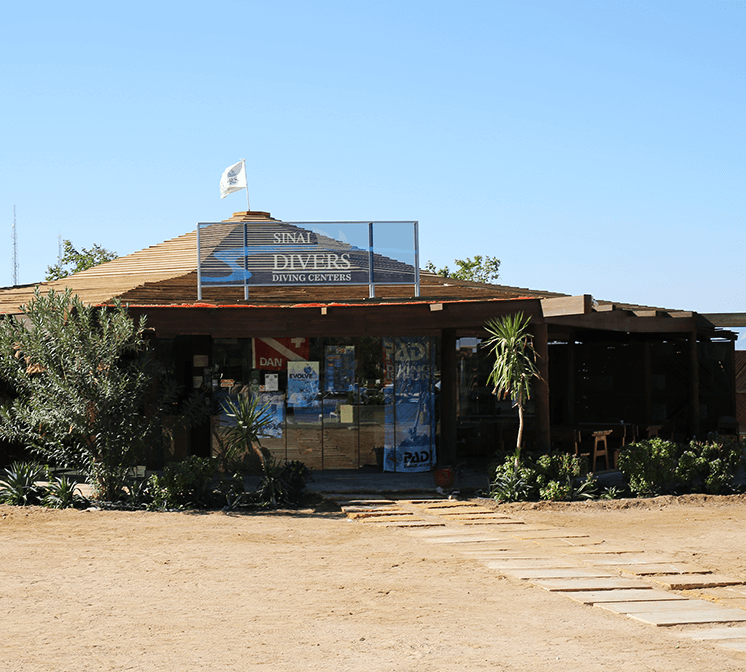 The diving centre is equipped with the latest diving equipment for up to 40 divers. It is located on the beach of the 5 star Mövenpick Resort & Spa Tala Bay; however, transportation will be available for divers staying in other hotels. The shallow entry and sandy bottom of the house reef is prefect for beginner courses. In addition, we have installed safety boundaries and a buoyancy-park that are perfect for practical exercises for your training. We offer the full range of diving education from Bubble Maker for the youngest to Dive Master Courses for the more experienced, including PADI and SSI certification standards. We can teach in English, German, French, Russian and Arabic. 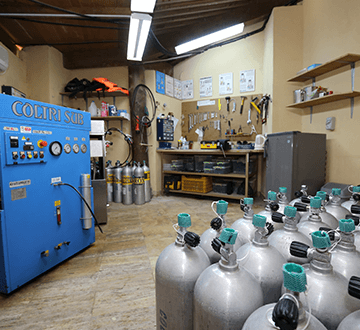 All of the courses, introductory dives, and check out dives are offered on a daily basis. Sinai Divers Aqaba is completely equipped with Apeks and Beuchat regulators, Aqualung and Nothern divers stab jackets (BCDs). Dive computers and cosy 5 and 3 mm neoprene wetsuits suitable for summer and winter. Complete sets of equipment for kid's are available as well. We use 12 and 10 LTR aluminium tanks for air and Nitrox with DIN/INT valves and Two Coltri compressors for air and Nitrox with mix up to 34%. 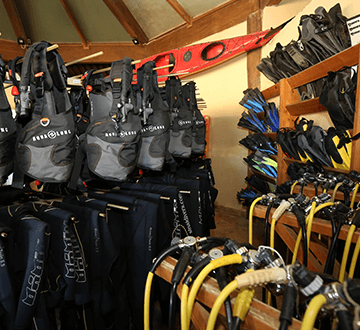 The guest equipment area includes individual boxes, where you can store your diving equipment in a dry, safe place. Warm showers are close by as well. There are two big rinsing pools at the dive centre. One is specifically for your regulators and camera gear and another one is for cleaning the rest of your equipment. 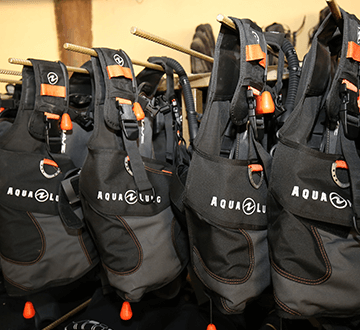 Taking proper care of your scuba gear after each and every dive is crucial if you want to keep your gear in great shape for the years to come. Our welcoming team at the counter will provide you with all information needed on the daily diving excursions and the diving courses. They will also be glad to help you if you have questions about your vacation in Aqaba (Wadi Rum, Petra…). To top it off, our shop offers useful diving accessories and a selection of spare diving equipment parts you may need. The centre itself has an air-conditioned classroom with a Flat screen TV and PADI Video and Diving Manual for all the diving courses. At Sinai Divers Aqaba we are proud to offer you a great facility for quality diving and modern equipment for reasonable prices. At Sinai Divers Aqaba we are proud to offer you a great facility for quality diving and modern equipment for good, reasonable prices. 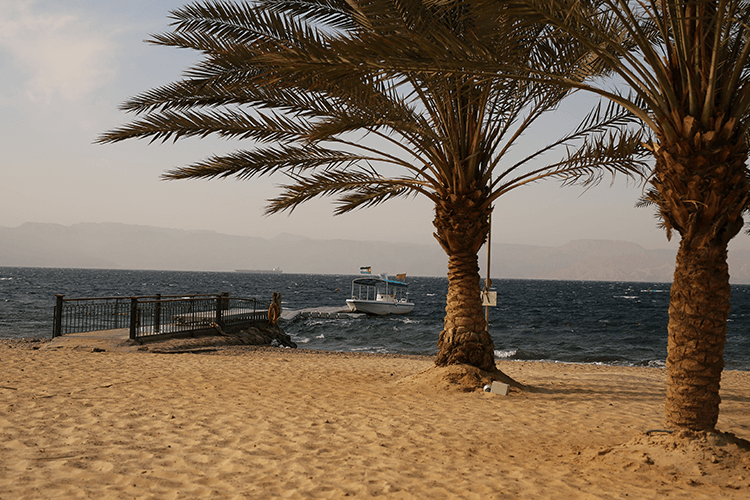 The beach next to the diving centre offers a spectacular view of the Gulf of Aqaba. You will be surrounded by the breathtaking mountain range of Egypt, Israel and Saudi Arabia. With sun beds and shade from Palm trees, it is the ideal place for relaxing in between dives, as well as enjoying a beautiful sunset at the end of the day. YOU PREFER TO TRAVEL LIGHT, WITHOUT DIVE GEAR? NO PROBLEM – YOU CAN RENT OUR WELL-MAINTAINED, MODERN EQUIPMENT!